Jaisalmer Desert Festival will live from 17th to 19th of February 2019 in Jaisalmer. 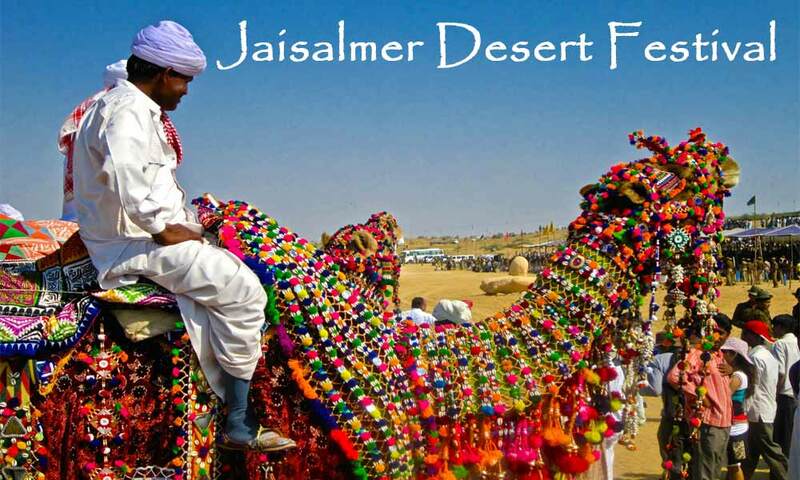 Desert festival is the colorful fest of Jaisalmer which held in February every year. This fest also features Cultural events, camel races, turban tying competitions etc. It is one of the main attractions of foreigners in Rajasthan. There is also a performance of Cultural events, camel races, turban tying competitions by professional artists. This fest will be conducted from 17th to 19th of February 2019 in Jaisalmer. The three-day celebration is an extravaganza of sights, smells, tastes and unique delights of the desert city. The visitors will be welcomed by the folk singers, puppeteers, acrobats, fire dancers and many more in their traditional, colorful and vibrant attires. Be part of the 3-day full-throated extravaganza on the Golden sands of Jaisalmer!